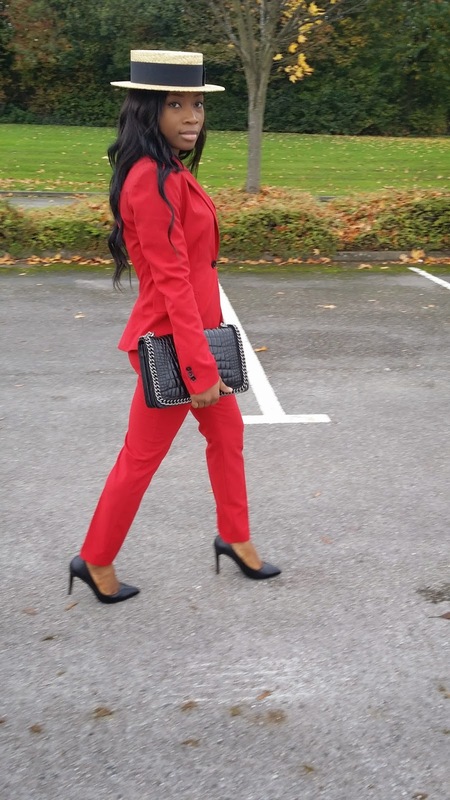 Hello everyone, hope you all had a great weekend and having a great week so far! 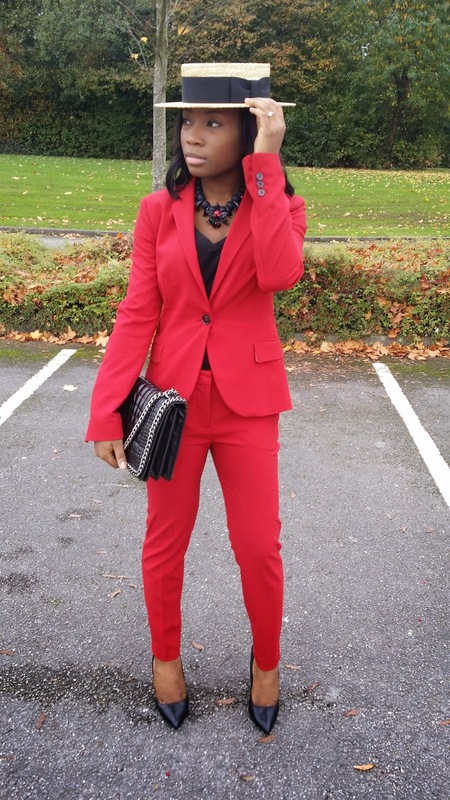 Red is not just a colour, its a statement and its such a great colour that beautifies any skin colour and stands you out from the crowd. 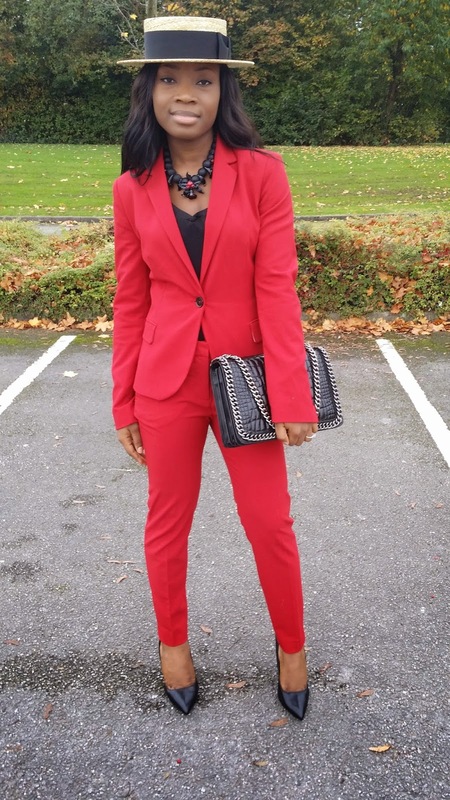 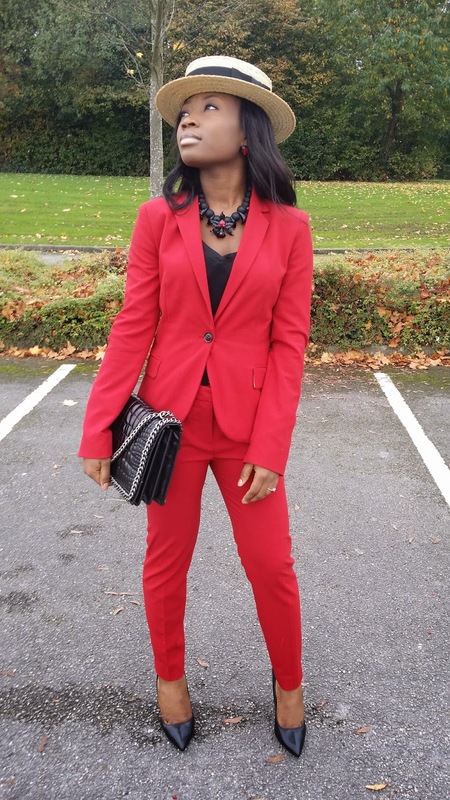 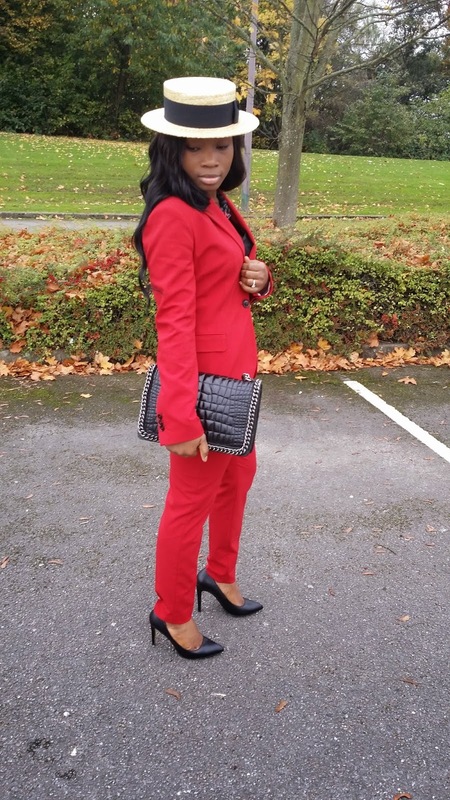 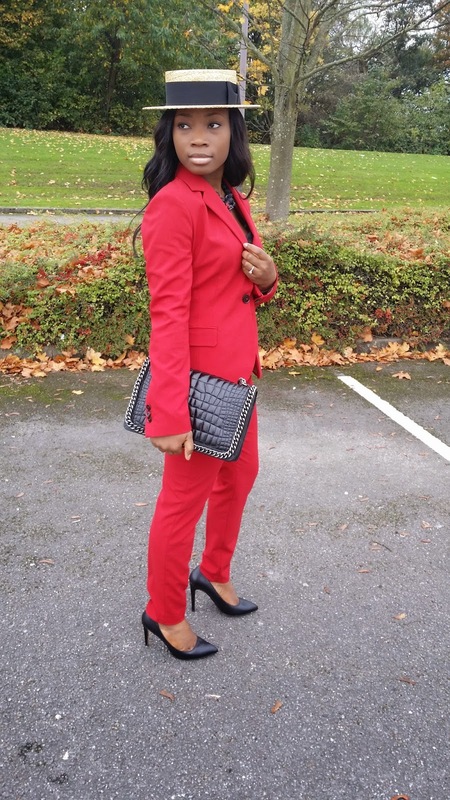 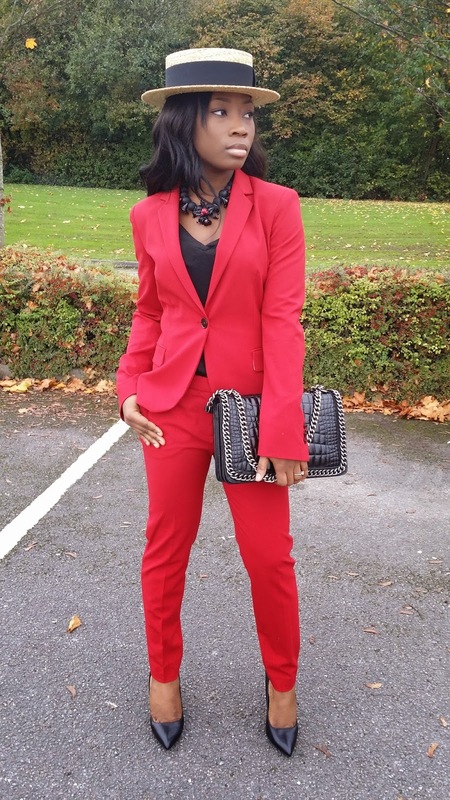 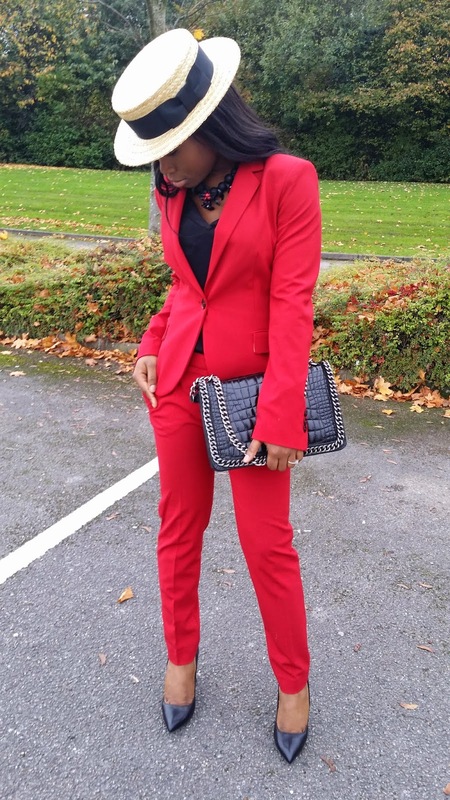 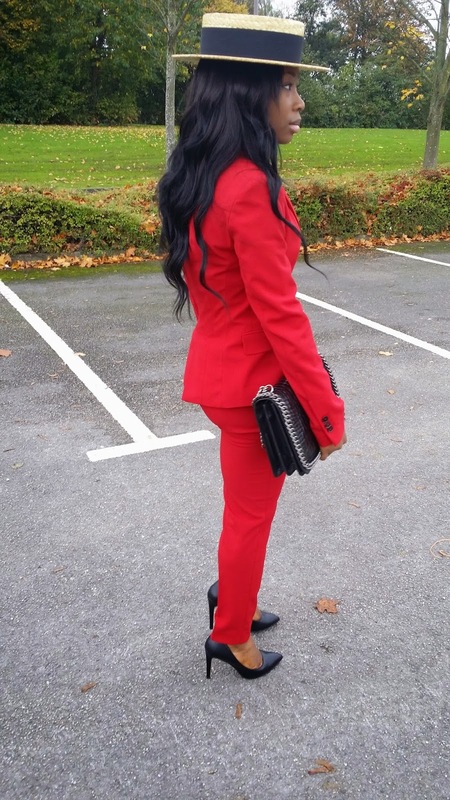 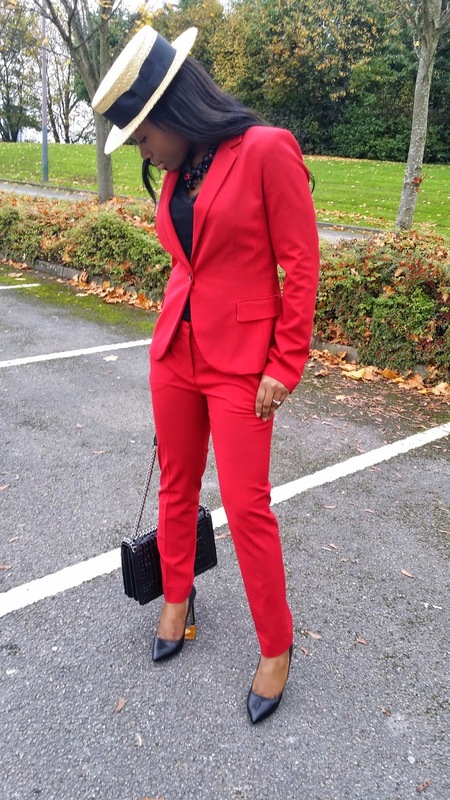 Todays look is very work friendly and I was going for the boss lady look which explains the suit and I have opted for a red suit as red signifies power. 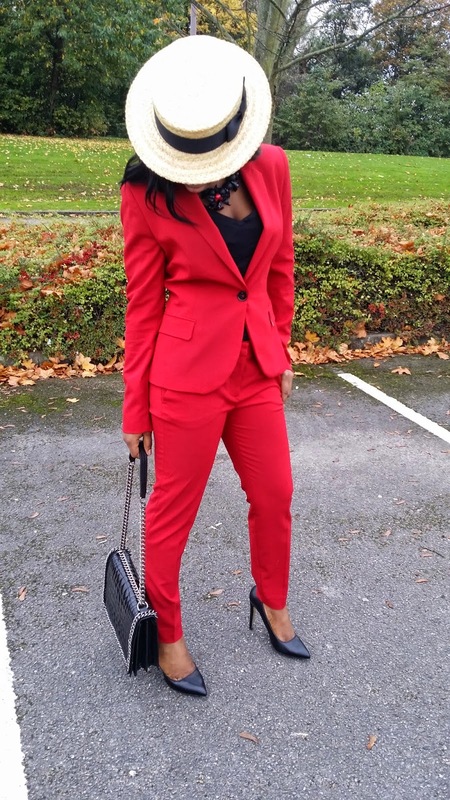 Here I am styling the suit with a black cami and I wanted to add a twist to the usual corporate office look by adding a boater hat which is a fairly formal hat. 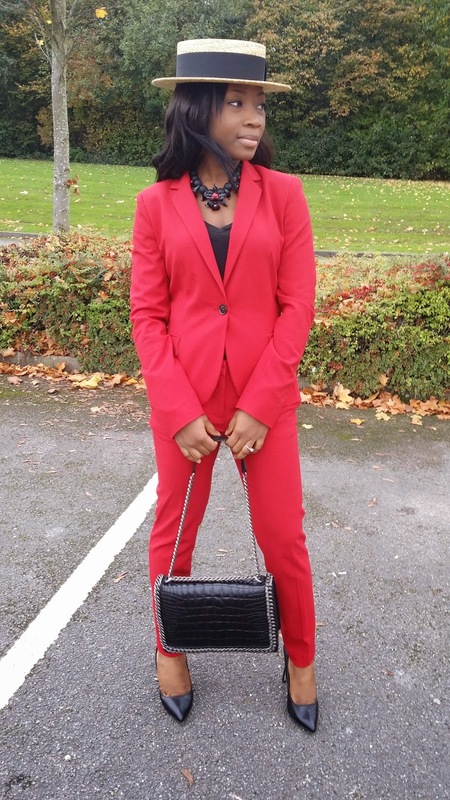 To complete the outfit, I have added a classic leather pumps and a chain bag (one of my current favorite). 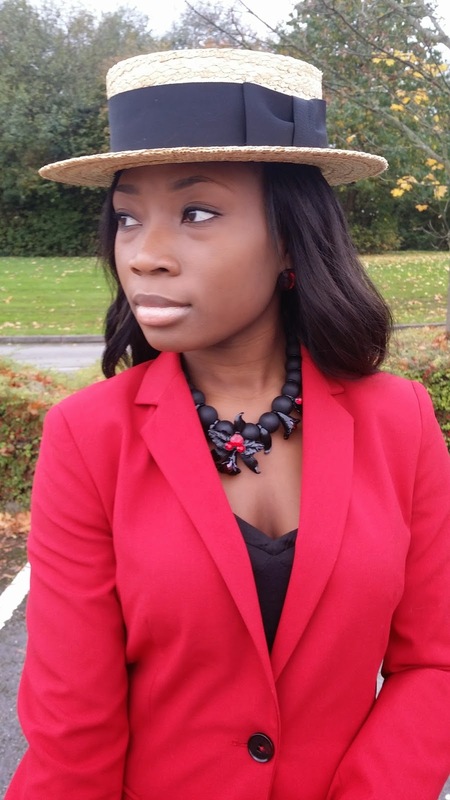 I have also added a statement necklace which is quite appropriate for work environment as it is not to loud and compliments the whole outfit quite well. 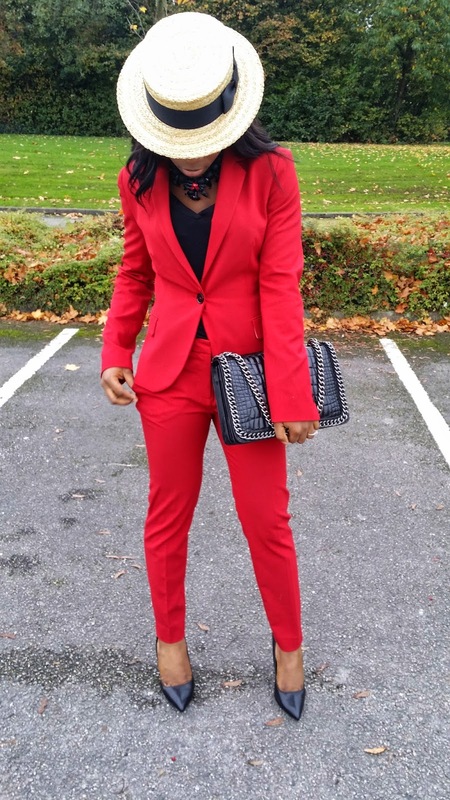 Apart from work, this is also a great outfit for church. 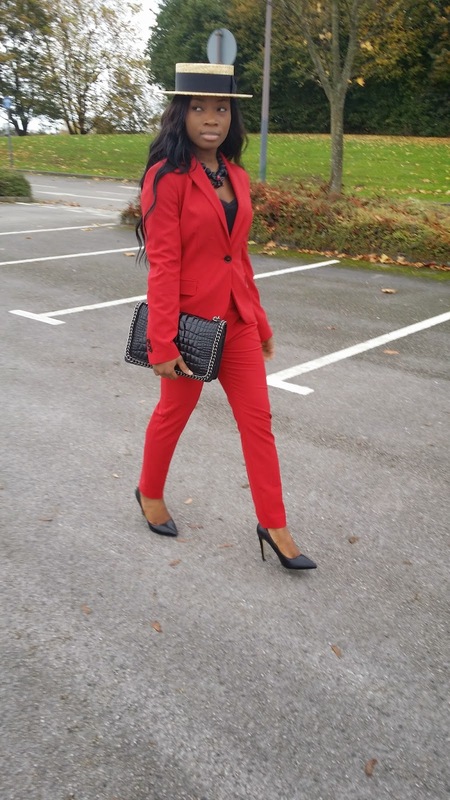 Thanks for stopping by and have a fruitful week.